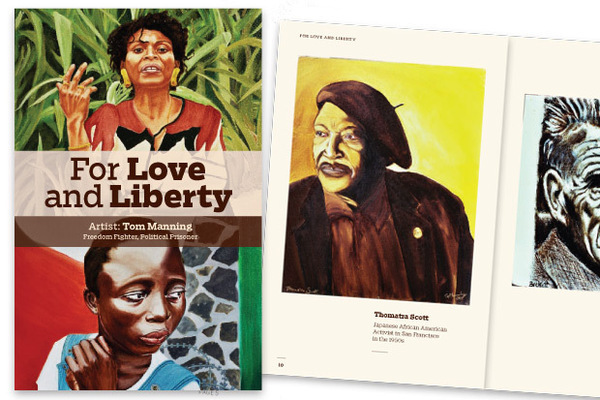 Political prisoner Tom Manning has a book of his paintings coming out! Tom Manning is a freedom fighter, political prisoner and prolific artist. His paintings are stories that jump off the page, revealing the outlook of people who struggle for liberation around the world. His paintings are about life and his landscapes recall times of importance. The years of work to produce this beautiful book and important document are nearing their end and we need your help to fund the last phase of production! Please forward this to friends and comrades and share the project on social media! Tom’s been incarcerated for 34 years. But even before he received his current life sentence he was trapped by the limited choices left to an impoverished child surviving in Boston’s infamous Maverick Street Projects. The military during the Vietnam era seemed like a way out, but that too became a hellish form of confinement. Tom broke free, he revolted. He became a revolutionary. He committed the unforgivable sin of confronting today’s great imperial empire, the United States, on its home turf. For that, I expect the prison industrial complex will do its best to keep him confined for as long as it can.